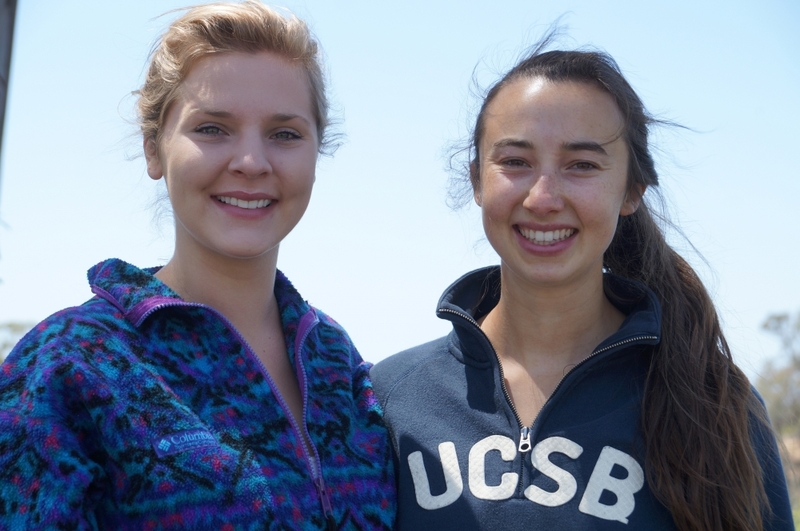 Kate Parkinson, left, and Emilie Wood, right, are among UCSB's first group of UC Global Food Initiative Fellows. They are collaborating on a project to assess, and hopefully reduce, food waste at campus dining commons. Graduating senior Rachel Rouse, also a UC Global Food Initiative Fellow at UCSB, has been studying food insecurity and access among the student population. UCSB seniors Emilie Wood, left, and Kate Parkinson, right, weigh food waste from a recent brunch period at De La Guerra dining commons as part of their project as UC Global Food Initiative Fellows. 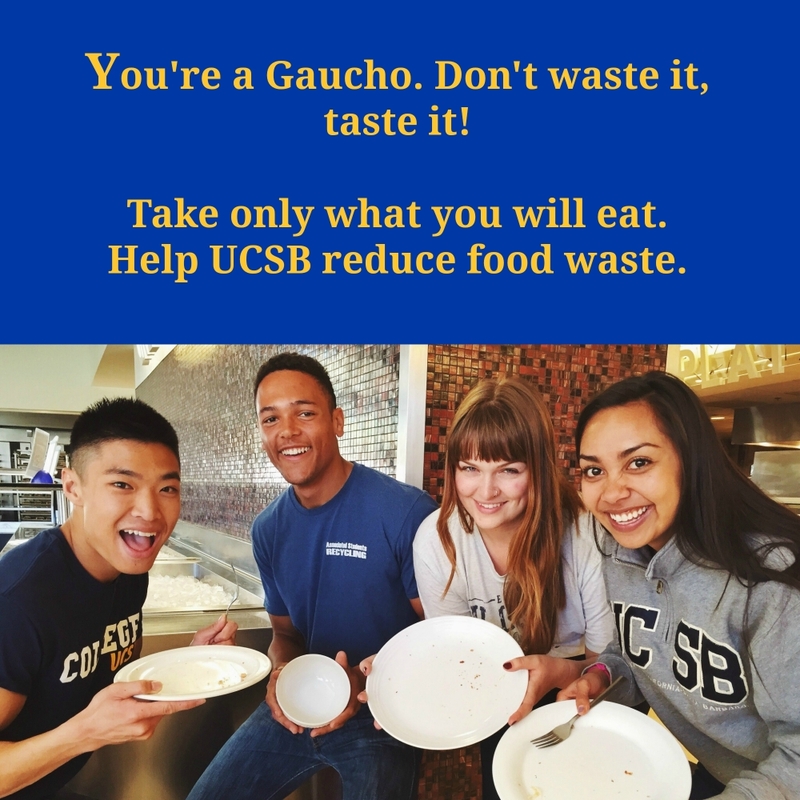 A joint study by seniors Emilie Wood and Kate Parkinson, two of UCSB's three UC Global Food Initiative Fellows, is taking a behavioral science approach to reducing food waste in the dining commons. In some circles, Sunday brunch is almost an institution. Nothing like a lazy morning meal — maybe at an outdoor table to soak in some vitamin D — to max out on relaxation before a new week begins. That’s the ritual. A far less common practice: Waiting outside a restaurant to weigh all the food that gets tossed out after the diners are done. But that’s exactly how UC Santa Barbara seniors Emilie Wood and Kate Parkinson spent their weekend brunch periods at the campus dining commons, every Saturday and Sunday alike, throughout spring quarter. The pair has in fact been working much of the academic year to assess and reduce food waste on campus in their shared role as UCSB’s inaugural UC Global Food Initiative (GFI) Fellows. A third GFI fellow, Rachel Rouse, also a UCSB graduating senior, is studying food insecurity and access among the student populations. Theorizing that such individual changes are crucial for making major inroads to reduce food waste, Wood and Parkinson turned to behavioral science for an answer, devising two messages for prominent display during weekend brunch periods at the campus’s residential dining facilities. Using the environmental appeal as a control, that message was displayed in one facility for several weeks before swapping it out for the social validation message. A second facility saw only the social appeal for the duration of the survey period. Wood and Parkinson weighed weekend food waste at both dining halls throughout and are now in the midst of analyzing their data and producing a formal report of their findings. Beyond the documentation, Wood and Parkinson asserted, the ultimate hope is that the more successful message can be permanently erected in UCSB dining facilities — and that their work can inform similar efforts across the UC system. A GFI fellowship was also a natural progression for Rouse, of Sacramento, who has worked the last three years at UCSB’s Associated Students Food Bank. 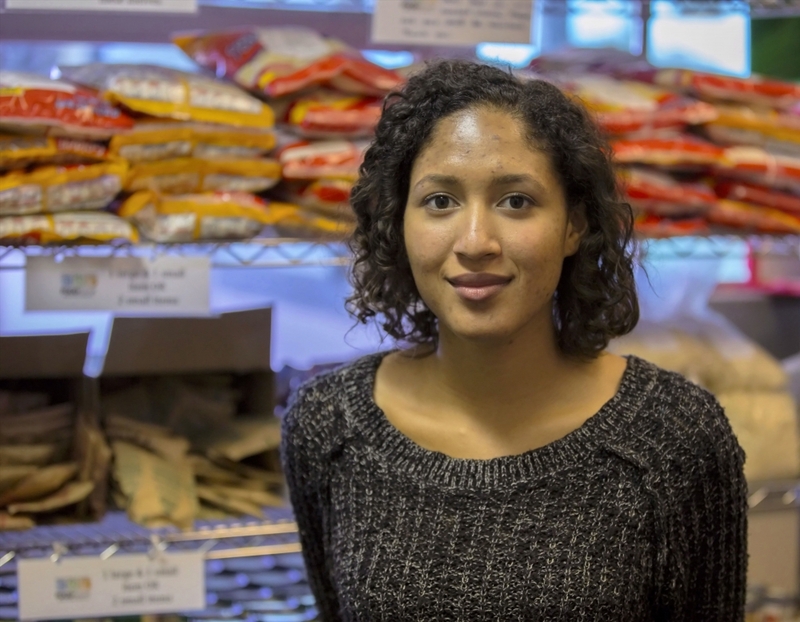 It was her personal background, marked by periods of poverty and hunger, she said, that first inspired her involvement with the campus pantry; the combination of those things is what compelled her to create her project examining food insecurity and the economic or social conditions that limit access to adequate and appropriate foods. “Hopefully this project will lead to a best practices guide for current and future food pantries on UC campuses,” Rouse said. “The college environment comes with a unique set of challenges that many of us were not prepared for coming in. I think students can change a lot on campus. It’s just going to take a bit more work for students to band together and recognize that many of us have the same struggles with regards to food. An extension of the broader UC Global Food Initiative that launched in July 2014, the GFI fellowships were introduced that fall as a way to engage students in the ongoing systemwide effort to address food security, health and sustainability. This spring, UC President Janet Napolitano announced a two-year extension of the fellowship program, as well as additional funding — the amount for each fellowship will increase from $2,500 to $4,000 to support food-focused student research, projects or internships.